For all the disruption it’s caused, Amazon isn’t even the biggest fish in U.S. retail. That would be Walmart, Fortune 1, which also disrupted the retail industry not all that long ago. While Sam Walton knew that consumers wanted a good deal and rock bottom prices, Jeff Bezos started his fortune by correctly predicting people would buy a lot of books online, and then made his fortune even bigger by correctly predicting people would want to buy everything else online, too. He even upped the stakes by correctly predicting people would want free shipping on top of competitive prices, and that people would pay for the privilege of getting free shipping. Now, consumers online and offline want that same kind of pricing, convenience, and added benefits from all of their retailers. So much so that the term and practice of “showrooming” has entered our national lexicon: that’s when people peruse items in a brick-and-mortar store before ordering them online for less money, even doing it on their phone while they’re still standing in the store. It’s not the only retail marketplace in existence, but Amazon has been the big game changer, changing people’s expectations for online shopping, the returns process for online orders, the endless aisle, and even the speed of shipping, including some cities that offer same-day delivery. Two-day, one-day, and even one hour shipping for Amazon Prime Now members. Price leadership position that brought an unparalleled level of transparency at a national level. 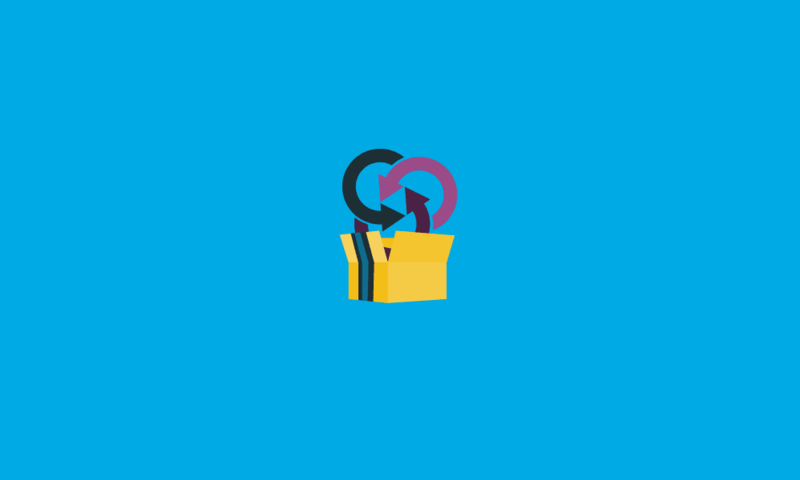 Unconventional return policies that reimburse consumers while also allowing them to keep the unwanted item. Selling used books and allowing used booksellers to manage their own fulfillment. Making it easy for retailers and vendors alike to dip a toe into e-commerce with Amazon Marketplace and Amazon Retail. Offering sellers multiple ways to fulfill orders, including first-party fulfillment, third party fulfillment and fulfillment by Amazon. A growing number of fulfillment centers, which not only makes shipping faster and cheaper, but enables them to reach a wider audience for one-day and same-day shipping. Three words: Amazon Prime Day. And much more (NRF has a list of 21 ways Amazon has changed retail). Keep in mind, Amazon did that all from the internet. Now it’s got it’s sights set on the traditional retail sector after striking a deal to purchase Whole Foods, drastically expanding it’s brick-and-mortar footprint and potentially disrupting the grocery industry. Pardon the pun, but Amazon is hungry for market share and it’s about to take a big bite out of a whole new piece of the retail pie. Ultimately, if retailers and suppliers want to survive in the world where Amazon keeps upping the bar, they need to take the retail giant into consideration when creating a strategy. Keep tabs on how Amazon is innovating and disrupting, even if it’s just a matter of awareness. Let’s be real, no one is going to out-Amazon Amazon, so retailers shouldn’t necessarily try to mimic what its doing – they should just be able to plan how they’re going to respond to it. For example, Walmart changed how much an online shopper had to order before their shipping was free, from $49 to $35, as a way to try to keep up with Amazon. Amazon responded by first lowering its free shipping threshold to match, and then went further, lowering its free shipping threshold for non-prime members to $25. Meanwhile, Target counter-intuitively went the other way, from $25 to $35, so we’ll see how well that works out for them. Of course, the danger for Target is that the expectations have already changed for consumers. If they see Target’s free shipping threshold change as a barrier, they may decide to go somewhere like Amazon or even Walmart instead, so they can get the free shipping at the level they want. Walmart has also begun to add a lot of new products to their online store, and incentivizing purchases made online, even those picked up in-store. They know Amazon is gunning for their Fortune 1 position and they aren’t going down without a fight. We’re already seeing large retailers everywhere wake up and start adopting tactics like same day delivery and in-store fulfillment or buy online, pickup in store (BOPIS or BOPUS). Though the titans in retail, and possibly grocery here soon, too, are battling it out, that doesn’t mean smaller retailers have to lose out. You may not be able to offer the lowest price or free shipping, but those aren’t the only things consumers seek out. Services, and especially customer services, can make a huge difference. Special touches like express checkout, offering courier service for same-day delivery or participating in programs like Instacart and Shopt can set your retail business apart from others. In-store experience are also very important. Though e-commerce is growing rapidly, it’s only about 11 percent of all retail sales in the U.S. so nine out of 10 purchases are still being made at brick and mortar stores. Make your stores a destination by offering consumers an experience, whether it’s having a play area for kids, offering free coffee for adults or even providing live music. Bringing the in-store experience and the online experience together can also help set retailers apart. BOPIS should be part of that, but allowing for in-store purchases via mobile device is also a consideration. Self-serve digital kiosks have had a favorable impact with some retailers. Beacons that can interact with an in-store customers’ mobile device can be very effective if done right. Amazon has been a disruptor for retail and still has all sorts of crazy ideas in the works, from the feasible delivery by drone or self-driving car, to the more outrageous flying or under water fulfillment centers. You don’t have to do all that to compete. Just be aware of what Amazon is doing, so that you can react. And be sure to add or improve services that makes customers’ lives easier, because ultimately that’s the key to getting them to make repeat purchases from you. 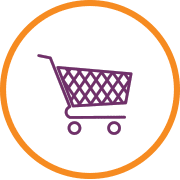 If you’re interested in learning how you can manage shipping for your business, achieve the endless aisle, and quickly source and onboard new suppliers, SPS Commerce can help you out. Please visit the SPS website for more information or get in contact with an SPS representative today.